2016 marks the 25th Anniversary of Spirits of Havana. Canadian flutist and soprano saxophonist Jane Bunnett traveled to Cuba and immersed herself in the island’s music. 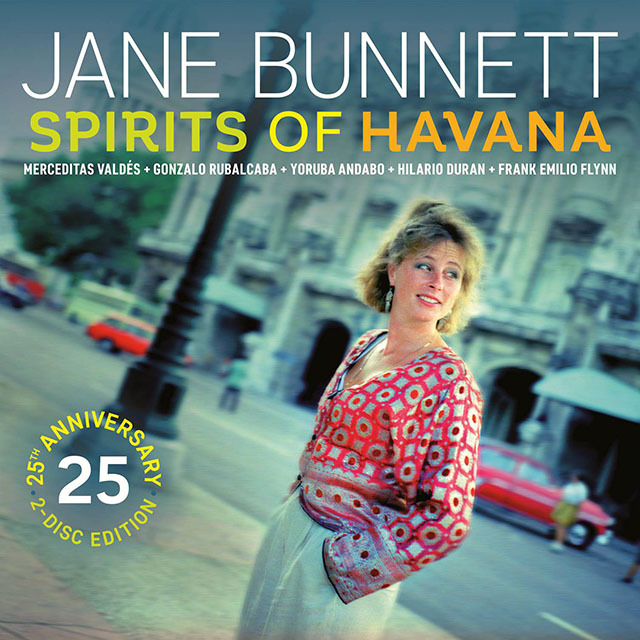 Jane Bunnett’s Spirits of Havana, the landmark 1993 album that brought together North American and Cuban musicians in Havana, preceded Buena Vista Social Club by three years. Combining other Canadian musicians with a host of gifted Cubans, guided by senior percussionist Guillermo Barreto on timbales, in a a genuine exploration of what is most distinctive and valuable in Cuban music and the special relationship of its African elements to jazz. Read more about this 2-disc deluxe edition re-issue on latinjazznet.com.